Near Southside: Getting the mix – old and new – right - Near Southside, Inc.
No one will call the comeback of Fort Worth’s Near Southside an overnight success, but the roughly 1,400-acre district south of downtown – in a state of decline for many years – is showing all the signs of the renewal envisioned by its earliest champions 35 years ago. Still, Mike Brennan, planning director at Near Southside Inc., the nonprofit that helps manage the area’s development and its Tax Increment Finance funds, has noted a change that points to the area’s success. Several developers who have projects aimed for construction there are not requiring TIF funding to make the deals work financially. “The Near Southside district and our organization are at an interesting and rewarding stage where we’re able to reflect on a range of accomplishments, including projects that have been built and community-focused initiatives we’ve led,” said Brennan. NSI is the nonprofit that oversees the area’s development plan, reviews development plans for appropriateness and produces popular events such as concerts and street fairs to enliven the community. The area is generally defined by Evans Avenue to the east, Interstate 30 to the north, just beyond Eighth Avenue to the west and Allen Avenue to the south. Known for many years as the Medical District, the area actually was a collection enclaves ranging from residential neighborhoods to medical facilities to areas with concentrations of manufacturing activity. A scattering of bars and restaurants along with some retail and office uses defined the area. This large swath of inner-city land was hanging onto economic life-support provided by the major hospitals and clinics. Property owners became determined to change the community’s fortunes and unleash new economic and quality-of-life opportunities. Working with city officials, they started small by paving a few stretches of sidewalk with bricks in the early 1980s. Encouraged by that modest success, a small coalition of business and community leaders launched Near Southside Inc. – known until recently as Fort Worth South – in 1995 to address neglected infrastructure and create an urban plan that would preserve the area’s historic structures, attract new development and diversify the economy. With a small staff of planning, marketing and event-management professionals, NSI is contracted by Fort Worth to review applications for renovations, adaptive reuse projects and new construction for compliance to design guidelines. NSI also manages the public Tax Increment Finance district, a financial tool that allows a share of property tax revenue generated within the district to be dedicated toward public improvements. Examples include repairing sidewalk benches to construction of a 320-space public parking garage at Magnolia Green. TIF funding has also paid for public infrastructure constructed in conjunction with dozens of private redevelopment projects. This incentive defrays development costs for projects that wouldn’t be financially feasible without the TIF's help. That’s not to say there still isn’t controversy over development. Developers building a six-story hotel on Magnolia Ave. drew a barrage of protests during zoning and city council meetings prior to receiving the required zoning changes. From its inception in 1995, the organization and its hundreds of members have focused on returning vibrancy to Near Southside while preserving its historic architecture and ensuring that new developments adhere to guidelines meant to amplify that authentic style. Other non-negotiables include a commitment that improvements to the area’s streets will make them more attractive, focused on the pedestrian and bike-friendly. 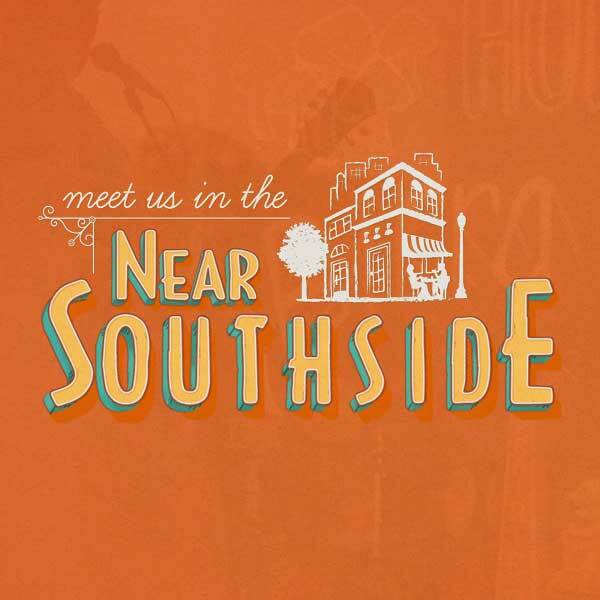 And there’s a laser focus on ensuring that projects – from homes to distilleries and medical offices to film and recording studios – contribute to Near Southside becoming a true mixed-use community. To achieve this, those who plan, govern, invest in and develop this area had to set aside standard zoning practices decades old and embrace new, edgy thinking. Planners, real estate professionals and architects are more freely encouraging design variety to attract a diverse population that is, well, just more fun than those who live in areas where rigid zoning rules have isolated city blocks into ghettos of similar uses. For many years, most cities applied zoning to land parcels and restricted buildings by functional use, such as apartments, retail stores or offices. Today’s planners recognize that such restrictions limit the imagination of developers, investors and architects, which is an opportunity cost that limits the potential of private and public assets. City leaders nationwide – including those who are nurturing the revitalization of Near Southside – support the trend to encourage a mix of very different but compatible uses. This approach produces buildings that might have a coffee shop or cafe on the ground floor and loft apartments or a dance studio above. Near Southside has adopted this mixed-use zoning and design criteria, referred to as form-based code, yielding some fascinating twists to this real estate market. “The genius of the form-based code in Near Southside is that it encourages, even embraces, diversity of form. It has cultivated a neighborhood where a wide variety of owners, developers and architects can flourish,” says Ken Loose, project director at VLK Architects, a Fort Worth firm that has completed four Near Southside projects so far. That wide variety has included both adaptive reuse projects and new construction. VLK, for instance, helped convert an 8,000-square-foot cheese cold storage facility to modern offices and production facilities for the Glass Lake Production Group, winning an AIA Fort Worth award in the process. At the same time, VLK has worked on new construction in the district. The distinctive 1K8 building at 1000 Eighth Ave., better known as the Jimmy John’s and FunkyTown Donuts building, for instance, was designed and built from the ground up to the Near Southside design standards. 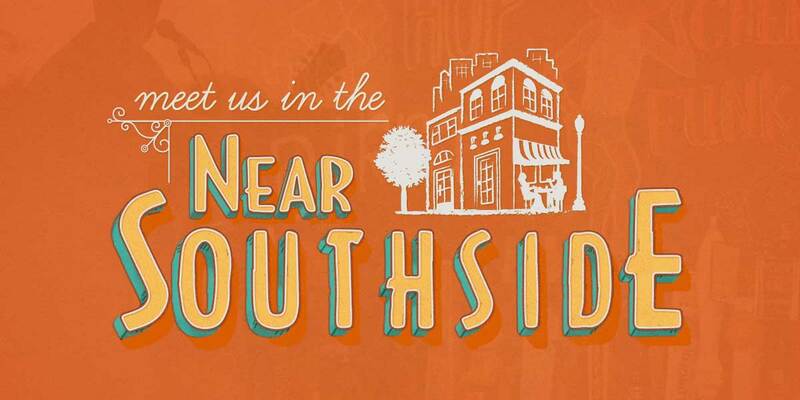 Near Southside is divided among six neighborhoods within the district that are known as villages. The mix of conditions across the district in these villages “is pretty striking,” Brennan says. “Magnolia Village still has opportunities and will keep evolving, but overall that area probably isn’t too far away from the level of redevelopment first envisioned 35 years ago, when the first brick sidewalks were installed,” he said. Other areas, such as South Main Village and Vickery Village, have started to re-emerge in the past two years and still have many gaps to fill. Magnolia was the 30-year overnight success that served as a training ground for government officials, planning staff, contractors and the rest who have achieved the revitalization of another Fort Worth treasure. Going forward, Brennan says the lessons learned and having the development plan ready for use will up the tempo for the remaining work.